One of the most popular smartphones of Xiaomi Redmi 5 pro is now selling in open sale from today 12 pm. Buying the smartphone in flash sale is a challenge for buyers, it requires a lot of painstaking effort to grab the smartphone in flash sale. From today onwards, customers can now pre-order this smartphone. Customers willing to buy the new Redmi 5 pro can go to the Xiaomi official website Mi.com to place the order. Although, customers have to make the payment in advance as cash on delivery option is not available. Apart of Redmi Note 5 pro, the other gadgets of Redmi will also be available form today, 12 pm. Redmi Note 5, Mi TV 4A 43-inch and 32-inch variant, Mi TV 4 55-inch can also be booked in the open sale. 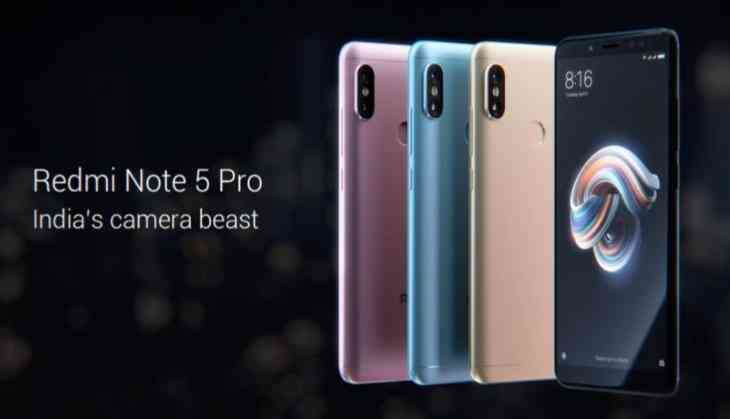 Redmi Note 5 Pro in 4GB RAM variant is selling at the Rs 13,999 and another 6GB RAM variant is priced at the Rs 16,999. Redmi Note 5 pro has 5.99-inch of full HD display with 1080x2160 pixels and 18:9 ratio. This device is powered by 2GHz octa-core Snapdragon 625 processor along with power backup of 4000mAh. It has a dual rear camera of 13 MP and 5MP and a secondary camera of 20MP with LED flashlight. Placing the order in flash sale requires a lot of effort in painstaking steps. Now, the customer can easily order the Xiaomi Redmi 5 pro and be assured for the delivery in priority. Redmi Note 5 pro was released in February and from then it was selling in weekly flash sales on Mi.com. Customers face a lot of rush during the flash sale and its become difficult for many interested buyers to buy the device.